Trinity Protocol: The Scaling Solution of the Future? 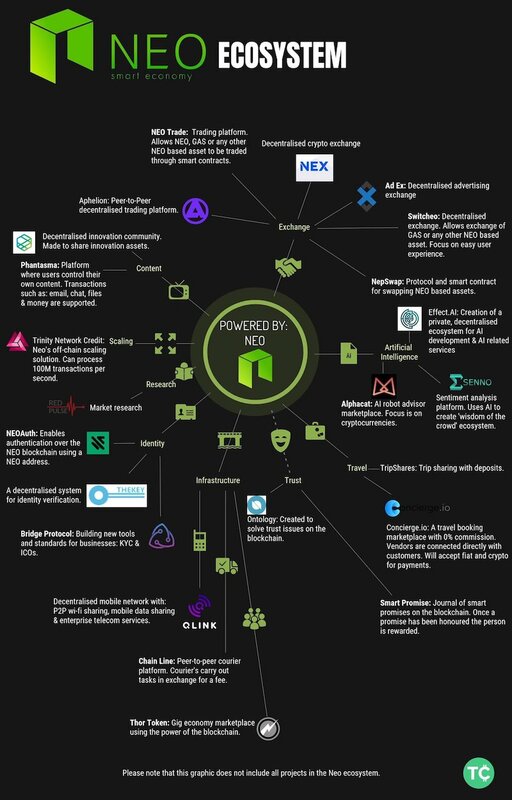 NEO is creating a robust blockchain ecosystem with massive projects, such as Ontology, Neon Exchange (NEX), and Trinity Protocol, all being launched in 2018. Is this the breakout year for the NEO ecosystem? Trinity is an open-source network protocol that functions as NEO’s answer to the Bitcoin Lightning Network in order to achieve real-time payments, low transaction fees, scalability, microtransactions, and privacy protection for all NEO (NEP-5) assets. Trinity has their own utility token called Trinity Network Credit (TNC) which, at the time of writing, has a market cap of $30 million. Trinity raised $20 million though a private and public “donation event” (a.k.a. token sale) which was completed in January 2018. Trinity is similar to Ethereum’s second-layer protocol (Raiden Network), and, to a lesser extent, Bitcoin’s second-layer protocol (Lightning Network). Why is the Trinity Protocol Being Created? By design, public blockchains have limited performance (transaction capacity, speed of confirmation, etc.). NEO can process upwards of 1,000 transactions per second, making it one of the fastest blockchains, and it currently is not experiencing any scaling limitations. 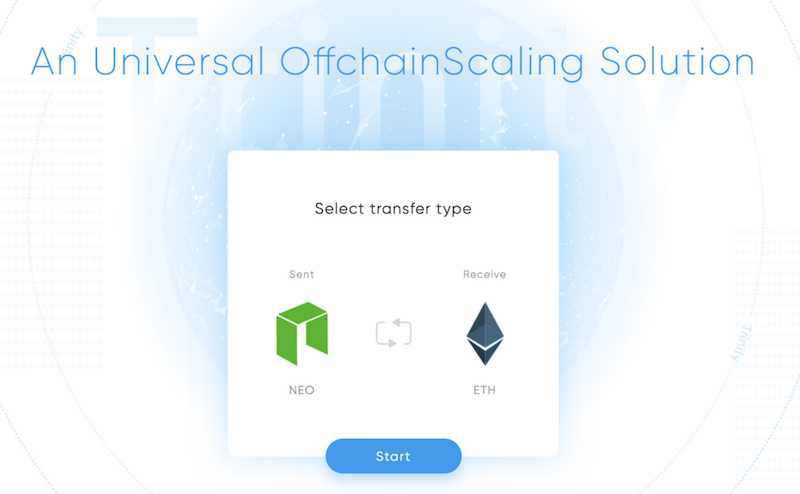 However, if NEO is to reach its full potential, they must utilize a layer-2 scaling solution to handle the transaction load. Trinity is planning ahead by building a scaling solution today to anticipate future demand on the NEO network. 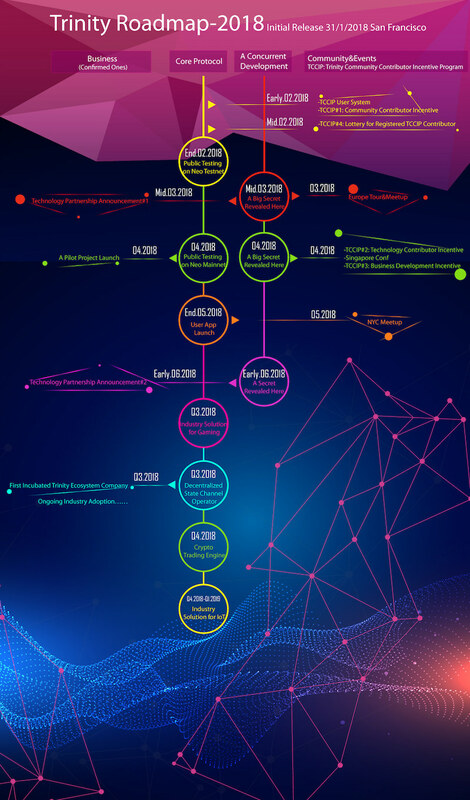 Imagine the network demand when NEO is used for a combination of financial transactions, digital identity processes, blockchain messaging, blockchain social media, and wide-scale machine-to-machine transactions. That Trinity is working to pre-emptively tackle scaling issues shows a measure of foresight and problem-solving that is sure to inspire confidence in investors. Below is an overview of how the Trinity Protocol works. In order to understand the full picture, take a look at the whitepaper. The Trinity Network leverages a state channel network to dramatically increase the throughput of the NEO network. This is a second-layer protocol that consists of an infinite number of private 1-to-1 payment channels that eventually settle on the blockchain. 2 participants can set up a private payment channel and freely transact between each other without broadcasting to the underlying NEO blockchain. When these 2 participants eventually close their payment channel, only the final balance is broadcasted to the underlying NEO blockchain. This means you can offload millions of transactions to the second layer and preserve the limited capacity of the underlying blockchain. For a simple analogy, you can consider a patron buying drinks all night and then settling up by closing their bar tab at the end of the night. Participants do not need to open a channel with every single person they want to transact with. Instead, the Trinity network routes payments through itself by “hopping” through other nodes. This means, as long as there is a connected path between you and your final destination, Trinity can complete your transaction. While the technology can appear complicated (it is), the end-user will be shielded from any such complexity. For example, when making a Trinity payment to someone that you do not have a direct channel connection with, your payment can “hop” through other nodes in the network on the way to the final destination. To the end-user, you’re just making a simple transaction because this “optimized routing” feature will all be done behind the scenes by your wallet software. The point of any protocol is to prevent the end-user from knowing they’re using the protocol. Take email as an example: users are only aware they are receiving and sending messages, not that they’re using the underlying Simple Mail Transfer Protocol (SMTP). The same goes for the Trinity Protocol: the end-user will just be performing actions on simple applications via user interfaces built on Trinity. The native token Trinity Network Credit (TNC) is the “protocol fuel” for the Trinity Network. It’s important to note: TNC tokens are NOT required to set up state channels or even to use them. Participants can use TNC or any NEP-5 token such as NEO, GAS, ONT, etc. This is a stark break from the Raiden Network, which requires the use of the RDN token; this difference makes Trinity a better and more versatile service (albeit potentially less valuable to investors). Trinity has several native technologies with functions that increase privacy on the network, such as zero-knowledge proofs and coin mixing with CoinJoin. In the future, the Trinity network will be able to provide further privacy features, such as Onion Routing (TOR), through the TNC payment process. For example, let’s take a look at a popular privacy coin Zcash, where users must opt-in for “private” transactions. On average, 85% of the transactions are NOT private. This makes it really easy to target the remaining 15% of “private” transactions which defeats the purpose of privacy. The Trinity team states privacy will be a key feature in the network; however it’s too early to make judgements. Transactions are free (between individual users) in the NEO ecosystem. The cost of verifying transactions is then offloaded onto the big entities that run full nodes and create applications in the network. For example, in order to execute a smart contract, developers need to pay 500 GAS (approximately US$8,000 at the time of writing). Interestingly, Trinity does charge a small fee in order to route payments through other nodes on the network. There is no incentive for individuals to use Trinity for normal P2P transactions unless there is a value-added service. This would suggest that the real value of Trinity lies in its capacity as a scaling platform for network-intensive applications to run on top of NEO/Trinity. Since Trinity is an open-source platform, anyone can download the software and develop applications for their own benefit. This makes the possibilities for the Trinity network endless. 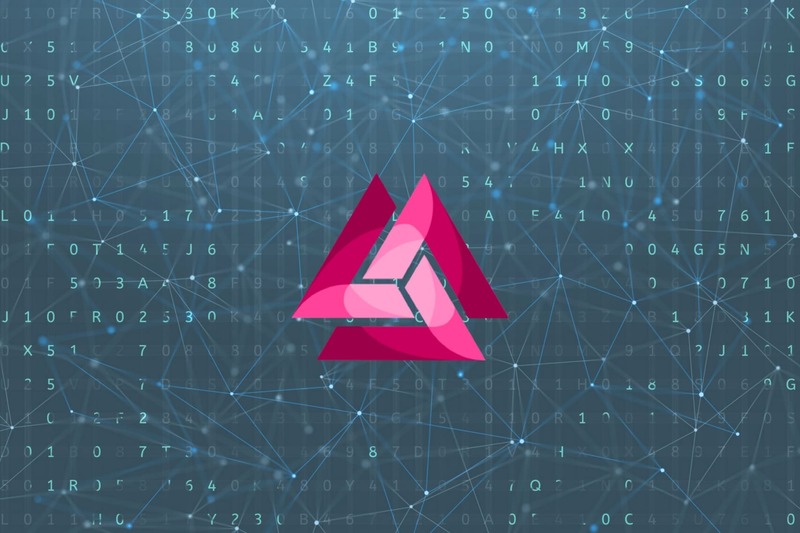 Trinity Applications (TrApps) will play an important role in the ecosystem because there is no way network-intensive applications such as decentralized exchanges, social media, M2M transactions, messaging, or gaming could be accomplished on-chain. TrApp developers can leverage theoretically endless scalability while charging their customers in TNC for services. It is likely that the TrApp ecosystem will be the main driver for the demand (or lack thereof) of the TNC token. On top of that, it is rumored that Trinity will power NEX, the decentralized exchange for NEO. Decentralized exchanges would be a perfect application for layer-2 scaling solutions like Trinity. Imagine a decentralized exchange with instant, free trading and none of the downfalls of centralized exchanges. This allows for high volume on the NEO network while only settling a tiny percentage of the transactions directly on the blockchain. Furthermore, people are speculating that Neon Exchange (NEX) will be powered by the Trinity network. It’s not a huge leap to make, as both their strategic goals and capabilities match. All of NEX’s features fit perfectly with the capabilities of Trinity. While neither have officially announced anything, there is a mountain of circumstantial evidence to fuel rumors. Plus, Trinity has a “special surprise” to announce in June, which is when the NEX mainet is scheduled to go live. Either way, NEX will be the financial gateway into the NEO ecosystem, with capabilities to exchange fiat, ERC-20, and, later in 2018, coins from the BTC/LTC family too. It is, by all accounts, a very powerful addition to the NEO ecosystem. Above is the Trinity’s official roadmap. However, I prefer this community-created roadmap, as it’s easier to follow. There are many exciting milestones to look forward to in 2018, including industry partnerships, the mainnet launch, as well as several surprises. In a recent interview with Boxmining, CEO of Trinity David Yiling Li laid out these 3 phases to the Trinity project. Currently, we’re in Phase 1. Phase 1: The Trinity team is going to first release the Trinity Mobile Wallet, an Android/iOS wallet that is beautifully designed and easy to use. They want to attract a large user base first, which will then attract more developers to create applications on Trinity. The Trinity Wallet will serve as a Proof of Concept for these potential new developers. They are also releasing a separate wallet called InWe, which is appealing to traders. Compare both wallets here. Phase 2: Advanced layer-2 solutions, such as Machine-to-Machine transactions, gaming applications, trading, IoT, etc. Phase 3: According to Yiling Li, “It’s not announced yet, but should be obvious if you’re in the space.” This should garner a fair amount of talk and anticipation around the project as we keep our eyes peeled! This announcement was one of the “big surprises” on the roadmap, and it was first made public at the Berlin Trinity meetup with Zilliqa on March 24, 2018. Then, on April 16, the Trinity team officially launched the cross-chain asset converter. It’s live, and you can swap between ERC-20 and NEP-5 tokens right now. This is a really big deal and greatly increases the potential use cases for Trinity. TNC tokens can be traded (as ERC-20 tokens) on any exchange that currently offers ERC-20 trading. Trinity is a bridge allowing users to seamlessly move assets between both the NEO and Ethereum ecosystems. Trinity has an absolutely massive team. In the Boxmining interview, Yiling Li said they have over 2,000 people working on the project, however I have not seen any further evidence of this. The leadership team is particularly impressive. Yiling Li previously worked for NEO/Antshares, led the global token sale, and was in charge of building community and partnerships. He comes across as a marketing whiz and strikes viewers as very professional in his public appearances. Trinity currently has offices right next door to the NEO team. The technology experience is anchored by co-founder Guangfeng Zhang, who helped design the blockchain-based Digital Ticket Trading platform for the People’s Bank of China (PBoC). Trinity also has close ties to the Chinese government by way of their 3rd co-founder, Fengping Yi, who served with the Chinese government as well as in government relations roles in private companies. Being friendly with the government is practically a prerequisite for a blockchain project to become successful in China. The Trinity website only lists 2 core developers, one of which is a former developer, I&V specialist, and test automation coach for Nokia. The other is more entrepreneurial, as he founded multiple provincial-level telecom broadband service systems. The Trinity team has grown quickly since its conception, with 3 main offices in China and another in Singapore, where the project is officially registered. With a charismatic CEO, strong leadership team, close ties with NEO, government influence, and massive team, there is no reason to assume Trinity won’t deliver on its promises. How Does TNC Look As an Investment? This is a hard question because we don’t have much to compare it to, as layer-2 solutions are still in their infancy. The most comparable projects are RDN and XLM, which was wildly successful in 2017. So, the question to ask yourself is: how bullish are you on the NEO ecosystem? TNC is not required to use the network, which hurts the inherent value of the token. That being said, mandatory token use is a major criticism of the Trinity’s Ethereum counterpart, Raiden. If Trinity attracts mainstream applications on the network (such as NEX, gaming, and IoT), the TNC token could become very valuable. Currently, there are 333 million tokens in circulation out of a maximum supply of 1 billion. Trinity has not stated exactly how the remaining tokens will be used. What we do know is they will be released over a 4-year period, with some amount going to state channel operators, promoters, community contributors, and the Trinity team. Currently, you can purchase TNC on Kucoin, Bibox, and Gate.io. As TNC is an NEP-5 token, you can store TNC anywhere that accepts NEO tokens, such as the Trezor, Ledger, Neon Wallet, and Neotracker.io. In the future, you will be able to store your TNC on either the Trinity Wallet and InWe wallet, which are both being developed by Trinity. Finding solutions to scaling is an important trend to watch in crypto right now. Layer-2 solutions will play big part in the future of blockchain scaling, and Trinity is no exception. The project is very ambitious, and the team is well integrated with both the Chinese government and the NEO community. Clearly, Trinity is giving us a lot to be optimistic about. In the short term, keep an eye on the anticipated June launch of the Neon Exchange (NEX). If the rumors are true and Trinity is powering the exchange, the TNC token will dramatically increase in value. Mid-term, we’re looking for wide-scale adoption of the Trinity wallet, as this will make it easy to use the Trinity Network and incentivize developers to create applications that run on top of Trinity. Mainstream success of these “TrApps” will ultimately determine the long-term value of the TNC token. Join their Reddit page and follow their Twitter account to stay up to date. So do you have a position? I do not currently have a position.